Families walked through glades lush with blueberry and wintergreen. People with mobility and vision challenges navigated the universal access trail through the towering oak and white pine forest. Motorcycles rolled into the parking lot, and veterans wearing leather vests got off their bikes, families in tow, to proudly show off the trail they had built. 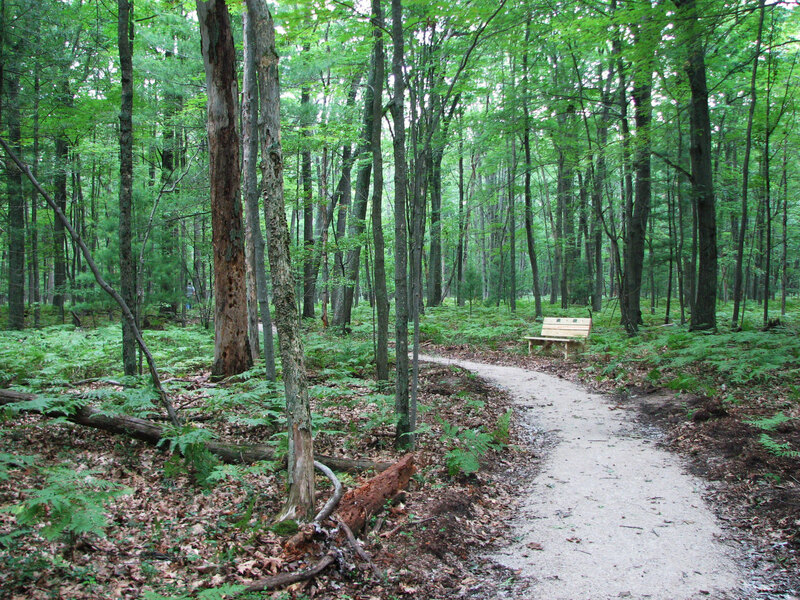 From the outset, the accredited Land Conservancy of West Michigan wanted to create a universal access trail on land — a much-needed solution to the community’s lack of recreational opportunities for people with disabilities. As the conservancy explored the idea, they called Disability Network West Michigan (DNWM), a statewide organization that was thrilled to participate in the project. “This was a unique project — different from other Americans with Disabilities Act (ADA) trail projects — because we got the veterans involved in designing the trail so that it met their needs,” says Vaughn Maatman, former director at the conservancy. Building the trail was far more expensive than they thought, and the conservancy’s partnership with the disability community proved to be fortuitous. When the conservancy wrote grant proposals, DNWM drafted letters of support, too. The response from funders was overwhelming! Five foundations lined up to support the project and a sixth wrote an unsolicited check. Anderson Woods Nature Preserve illustrates how synergistic learning occurs when different organizations come together around a shared goal. “Our vision needed to be shaped by the veterans’ vision and excitement. We needed to make room for their contribution. That’s community conservation,” says Maatman.